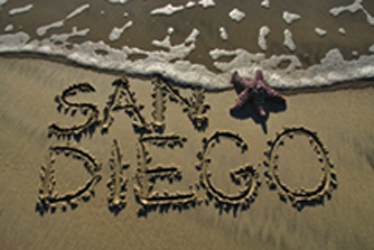 The holiday season has come to a close and we are headed to sunny San Diego for PAG XXIV! This year, our President and CEO Andreas Scherer along with Greta Linse Peterson our Director of Services and Mary Makris our Operations and Marketing Manger, will be manning the Golden Helix booth, so stop by booth 129 to say “Hi!”. Since PAG XXIII, we have made quite a few improvements to our SVS software including enhancements to our genomic prediction capabilities and the addition of meta-analysis! We will have some great example workflows ready to show you and afterward, we will be handing out our famous golden helix t-shirts! We will also have hard copies of both our GWAS and Genomic Prediction ebooks to give away. This year’s PAG is sure to be the best one yet with a great line-up of speakers, workshops, and presentations. Safe travels and we look forward to seeing you soon! Delaina Hawkins, Director of Marketing & Business Development at Golden Helix, joined the team in June of 2017. She is passionate about the digital and social media landscape and elevating a company to effectively grow user engagement, build brand loyalty and ultimately drive sales and revenue. When she isn't in the office, she enjoys fishing, biking and spending time with family and friends.